It all begin in 1995… Chris Brogdon and I were tired of waiting at the Original Pancake House for breakfast. 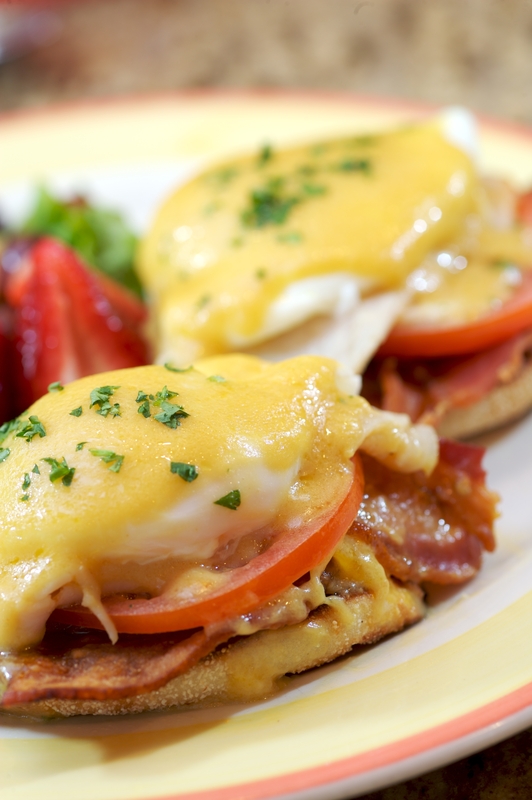 We exhausted efforts to bring in a chain breakfast restaurant to the area, but we could not find a franchise interested in an East Cobb location. So, we set out to develop our own breakfast place! 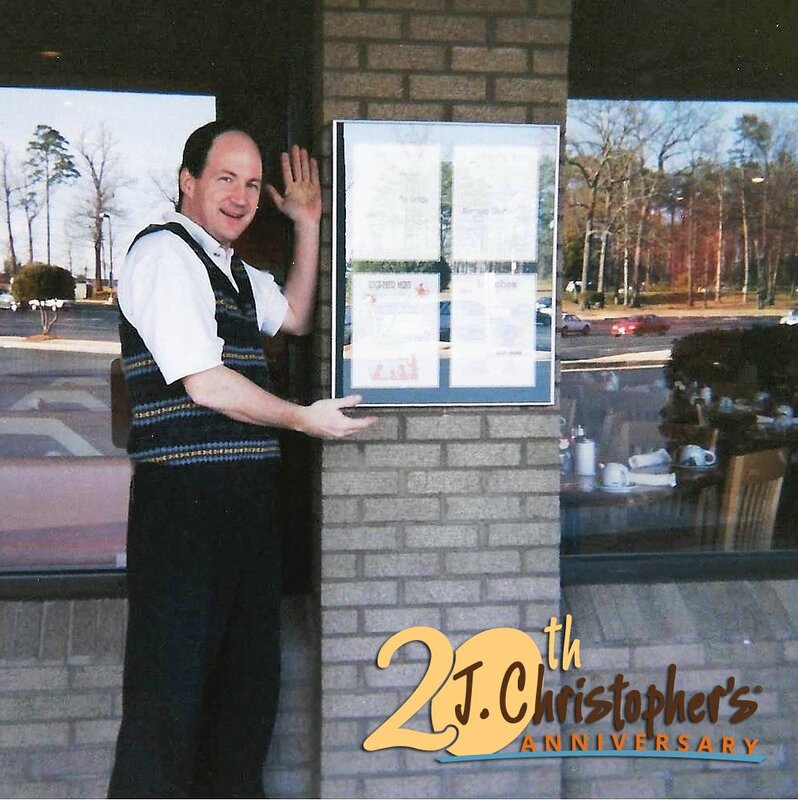 Creative teams of friends and relatives helped to fine-tune the vision that is now J.Christopher’s – including my then 5-year-old son Hunter, who designed the original logo on his Crayola program!! Securing a location proved to be somewhat difficult, since no one wanted to lease space to an unproven, independent restaurant. The failure rate of restaurants is alarmingly high, with the average Atlanta restaurant closing within just 13 months. Before I could finish saying, “I am looking to open my own restaurant…” I would hear a click on the other end of the phone. The Fire Marshall even questioned our sanity, he said they called that strip of Johnson Ferry “Death Row” due to all of the restaurants that had come and gone. In the Spring of 1996, a mutual friend introduced me to the incredible performer who played Jesus Christ in the JFBC ‘Passion Play’ that year- Jim Ezell. As luck would have it, Jim was also managing the Woodlawn Square Shopping Center. We talked about my plans and frustrations, and by some miracle, Jim agreed to take a chance on us! Finally, in a vacated shoe store on “Death Row,” we found a home. In 1996, Atlanta was busily preparing for a little-known event — perhaps you remember it, the Summer Olympics! Every able body was working hard downtown to get everything ready on time, so no one was available to help us with our build. An electrician even offered to work nights, if we would pay him triple-time! That supposed 3-month job took us all of 9 months to complete. However, we did save a fortune on equipment and supplies from all the restaurants that closed immediately after the Olympics, realizing they did not make a life’s fortune in those 2 weeks! Finally, on Monday, January 13, 1997 (with little fanfare), we opened our doors and rang up a whopping $157 in sales! It was the toughest $157 I ever earned… And the sweetest. By Saturday, so many things had gone wrong that we decided not to open Sunday (years later guests were still telling us they thought we were closed on Sundays). One guest told us we wouldn’t last a year if we didn’t have biscuits in the South. We took his advice. We took all our guests’ advice. East Cobber’s give lots of advice. We had only planned to open that one store, but ten months later we opened our second location in Sandy Springs and never looked back. J.Christopher’s has created a retreat for our guests to relax and enjoy a good meal. We have served over 20 Million meals — 1,700,000 just in East Cobb! We have won countless awards and consumer polls, and have been fortunate enough to provide jobs and careers for so many great people. Many of our original hires are still working with us today, and now, many of their children have joined our team! We have supported the cities and states we operate in with our tax dollars… Lots of tax dollars. And we have been able to give back generously to the charities and communities that have supported us. Thanks to you, our guest, for making this all happen!